In Brastagi you can also take a ride in the sado’s. These horse drawn carts get their name from sitting back to back, in French, dos a dos. The name Berastagi can also be traced. There is no rice cultivated here as it is too cold. The villagers went to the lower regions to ask for rice. In Karo Batak language, Brastagi means (beras is rice, tagi is asking) asking for rice. As Brastagi is located on 1400 metres above sea level it has a cooler highland climate and therefore very well suited for vegetable and fruit cultivation. 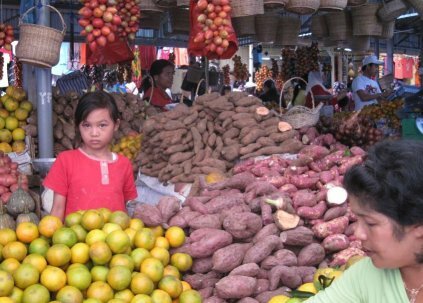 The colourful market is worth visiting where you can buy marquisa, rambutan and many other tropical and subtropical fruits. She is describing the Grand Hotel Berastagi, built in the nineteen twenties. (Berastagi and Brastagi can be written in two ways). This was a chic hotel, where the guests dressed for dinner. 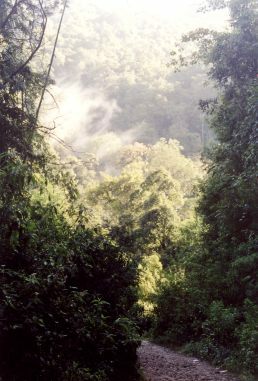 At the time that Madelon Szekely-Lulofs visited Berastagi it was a popular holiday destination. 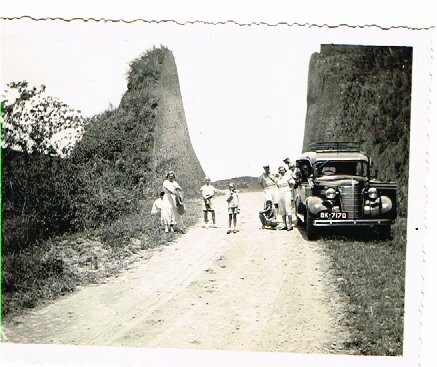 People came from all over Sumatra and even from Malaysia via Penang to visit this village in the Karo highlands. As more Netherlanders retired in Indonesia, more private villa’s appeared in Berastagi. In the nineteen thirties it was transformed into a Villa Village, with manicured lawns, rose gardens, swimming pools and tennis courts. In 1946, during the fighting many hotels and villa’s went up in flames. It was in fact the second time the Grand Hotel Brastagi went in flames, the first time it was in 1925. 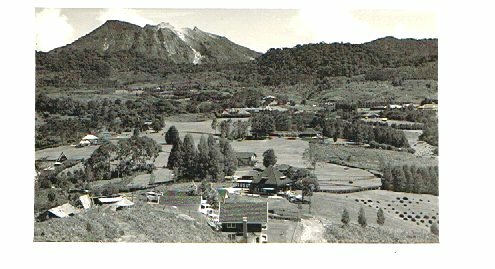 As the Grand Hotel Berastagi did not survive, but the swimming pool, behind the hotel, did. The Planters School Association, a boarding school for planters children also stood here. During the war the Japanese used the school as prison camp. It was destroyed in the fires, only the foundations remained. Fortunately the former Hotel of the Bataafsche Petroleum Maatschappij (BPM, later Shell) hotel survived and is a fine example of colonial architecture. For those who are sportive enough you can climb the Sibayak volcano. 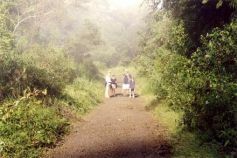 On top of the mountain is a moonlike landscape with smoking sulphur craters and looking around you will be impressed with beautiful views over the area.